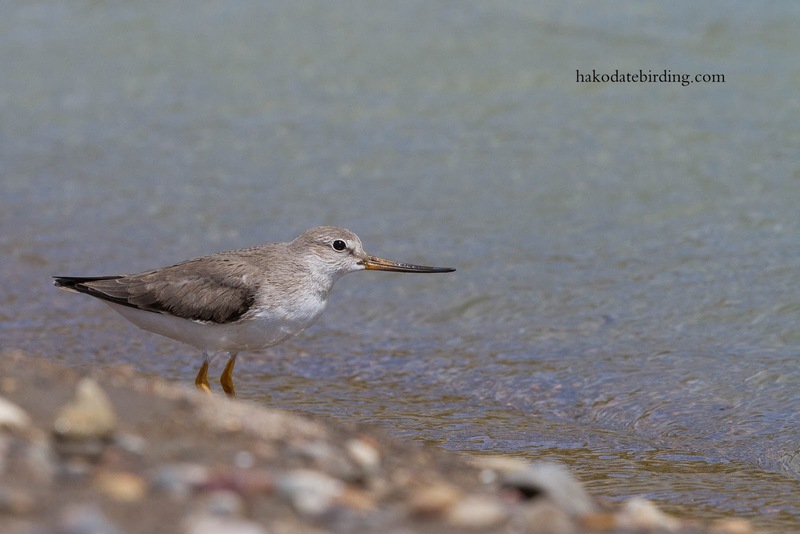 A Terek Sandpiper at Kamiiso yesterday. There was also a small flock of Red Necked Stint, several Common Sandpiper, a lone Greenshank and an Osprey. This species is very wary and flies off as soon as you approach (in stark contrast to the recent Great Knots)...........I managed to sneak up on this one but it's still cropped by about 50%. They are very appealing though. We get one every few years at Werribee. Our last one was banded in Russia somewhere. Sharp and great detail even if it is cropped in. I love these waders - only seen one, Rosslare in Ireland on the way to Cape Clear. They are like Redshanks but with a bad case of hyperactivity/ADD. Great picture. Nice pose. Super bird.